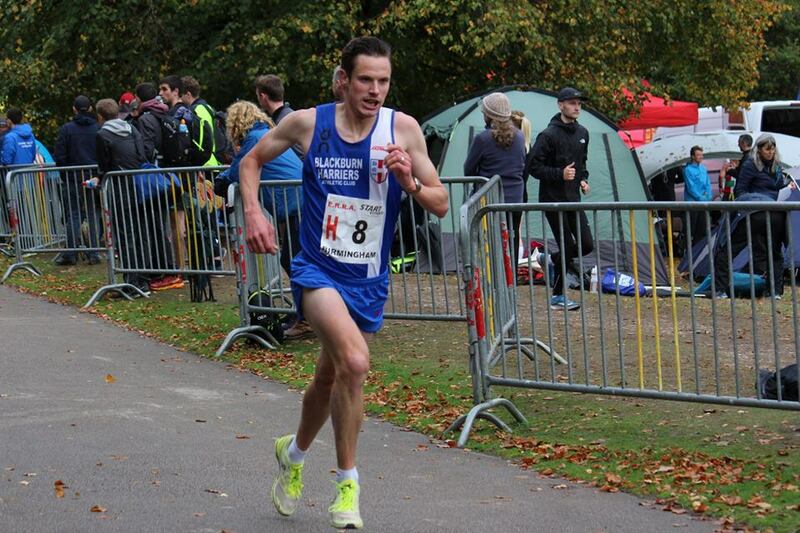 Some great running by Blackburn Harriers today at the National Road Relays held in Sutton Park. Two men’s Senior Teams, and a Senior Women’s Team taking part. 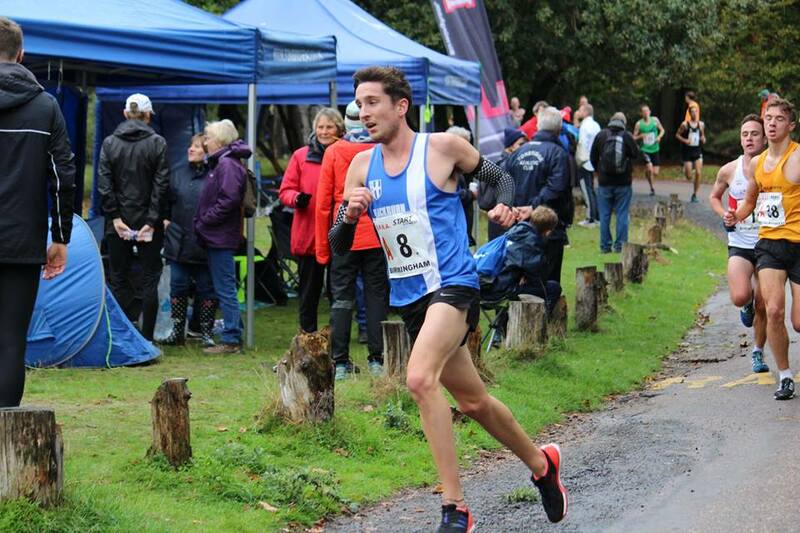 Ben Fish who ran the fastest time for the Men’s ‘A’ Team had no doubt about the performances on the day commenting “Top results the club is going from strength to strength. Terrific from the ladies with 11th. Top 30 for the guys is great progress and with both teams doing well it certainly looks like we’ll have a brilliant 12 stage team in spring“. 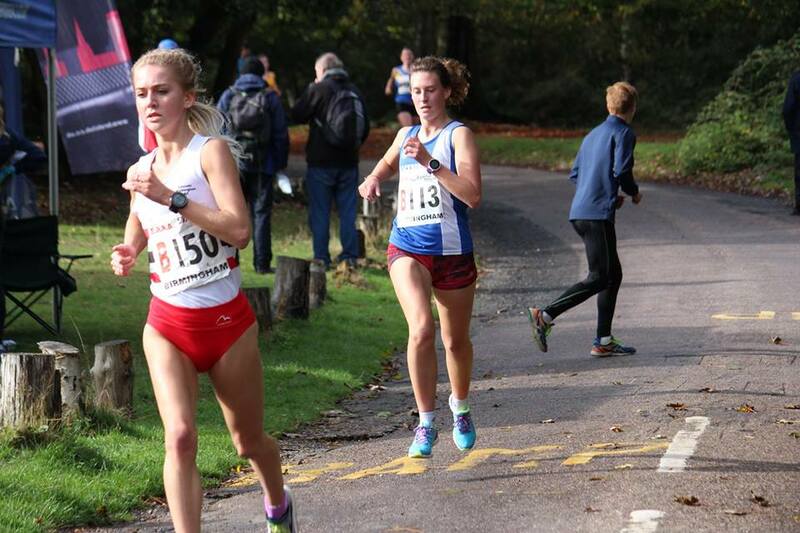 The Women’s ‘A’ Team did exceptionally well coming home in 11th position – out of 67 Clubs competing – and just five seconds off earning a top ten spot. 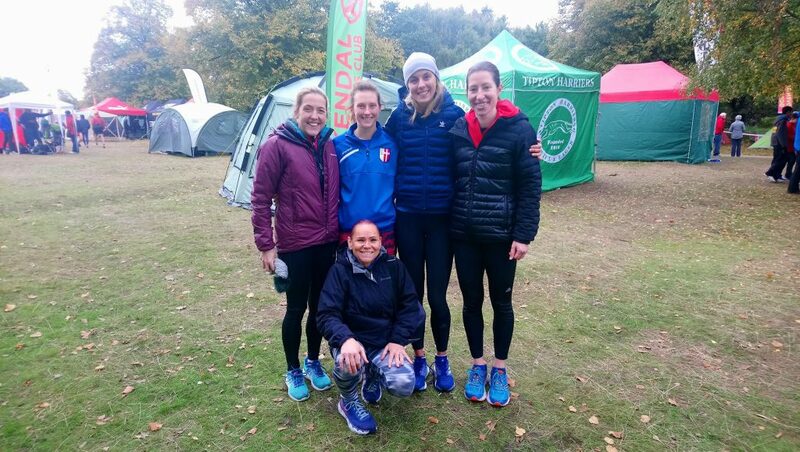 Women’s Team Manager – Joanne Nelson – was absolutely delighted with the their perforamnce commenting that it was a “Fantastic result for the female team, all pulling together to secure an impressive 11th place. 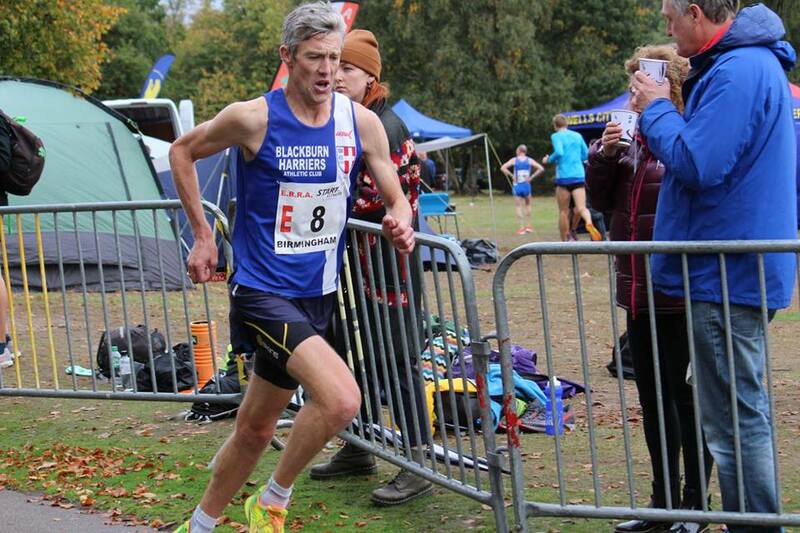 Fabulous team spirit and well and truly placing Blackburn Harriers firmly on the map for outstanding running”. 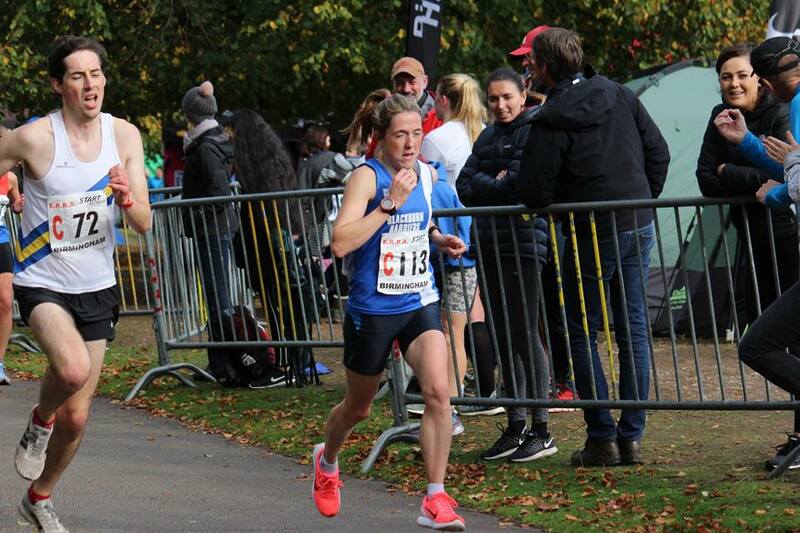 Alison Lundy led of on the first Leg running a time of 15.07 followed by Katie Bickingham on Leg (2) with a time of 16.42. 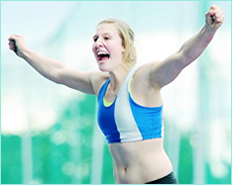 On Leg (3) was Victoria Mousley clocking 16.56 who handed over to Jess Judd who literally flew round the course in the second fastest time of the day in 14.07 and pulling back 13 places in the process. 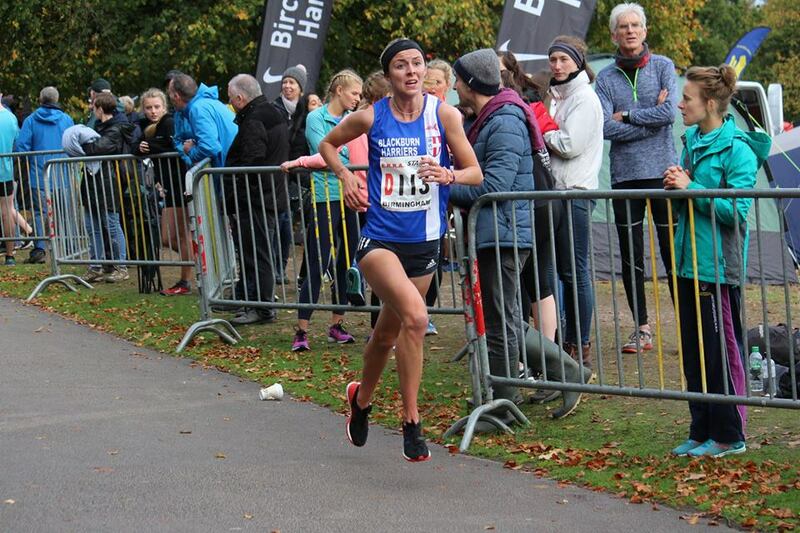 The Harriers had some withdrawals at the last minute which meant we weren’t able to field our entered ‘B” Women’s Team, however, that didn’t stop Lindsay Davies running Leg (1) as a part team, running a time of 19.52. 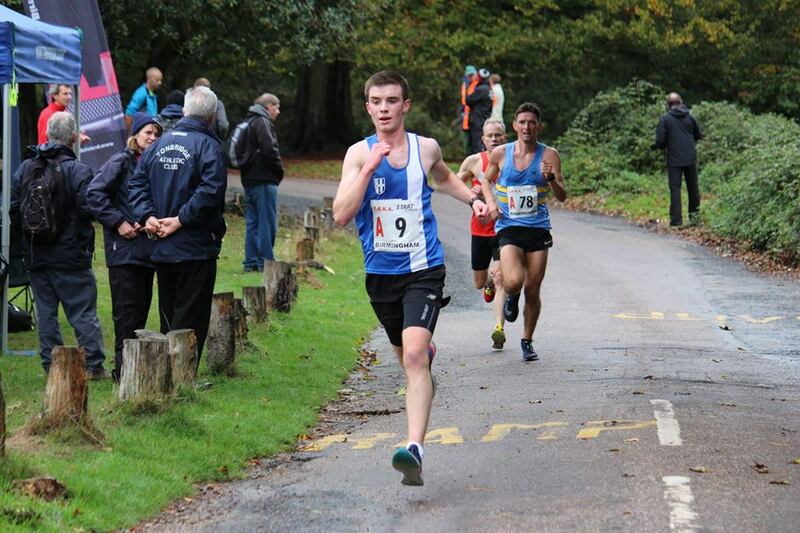 Two teams in the Senior Men’s Race which saw the ‘A’ Team come home in 30th place and the ‘B’ Team 59tth overall out of a field of seventy five Clubs. 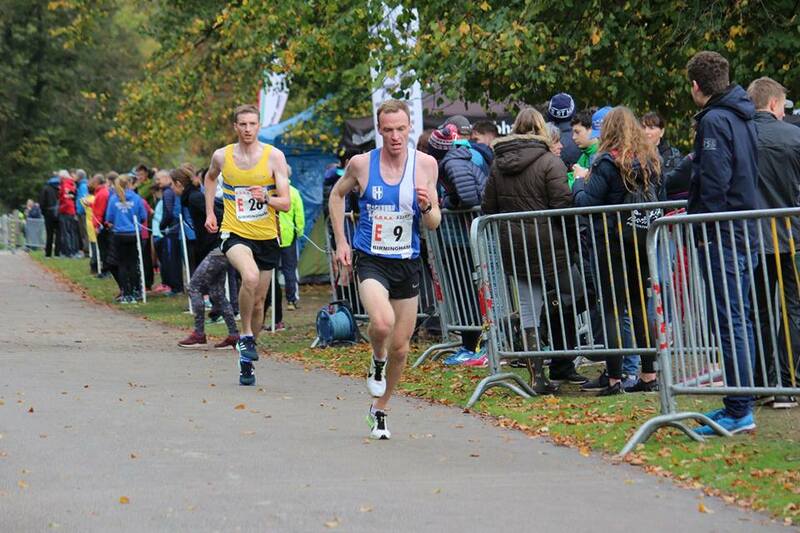 Rob Warner kicked off the ‘A’ Team on Leg (1) coming home in 42nd place clocking 18.37 and handed over to Jack Hindle on Leg (2) who pulled back a couple of places with a time of 18.43 to change on leg (3) with Tim Raynes in 40th place. 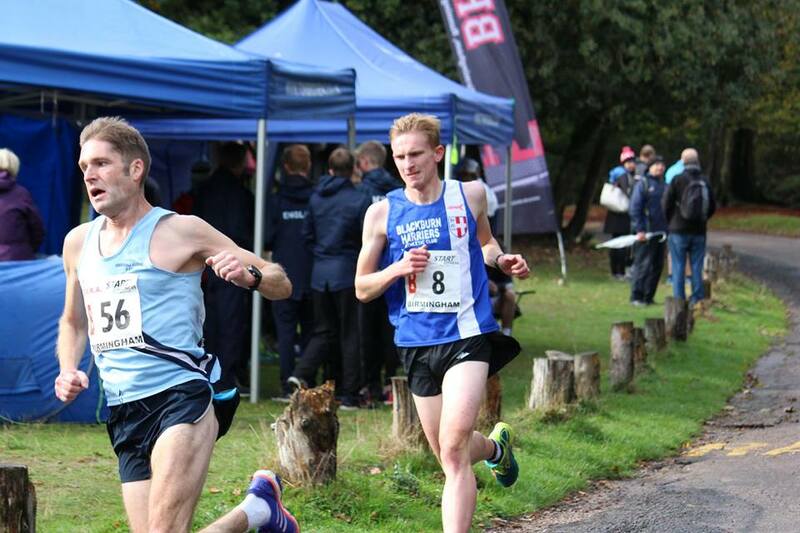 Tim ran the identical same time as Jack of 18.46 to pull back another six places taking the team up to 34th with Ben Costello on the fourth Leg (19.15) and Chris Davies on the penultimate Leg (19.49) leaving Ben Fish on the last Leg in 43rd place. Ben had a great run to clock the teams fastest leg of the day (17.58), pulling back thirteen places to leave the team in 30th place. 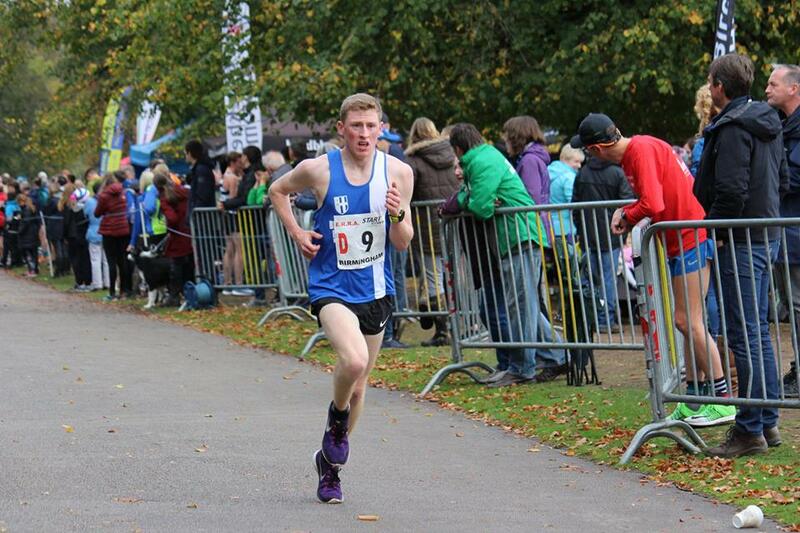 Jack Hindle commented about the day afterwards saying that it was a “Fantastic effort by the team today. All the lads and ladies left everything out there. It’s great to see everyone pulling in the same direction. It can only get better as well”. 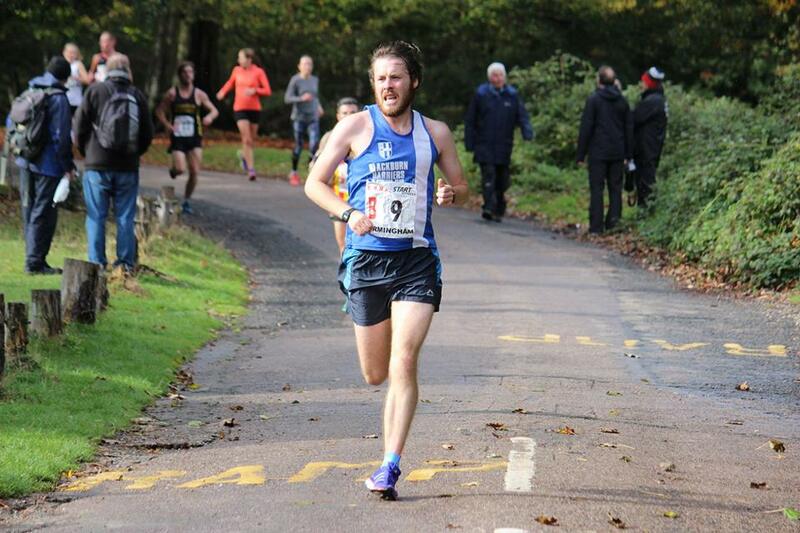 Ben Costello added to the positive comments of all the Harriers perforamnces as he said “Cracking day out with the lads and ladies, quality running from all involved. Definitely more to come from us all“. 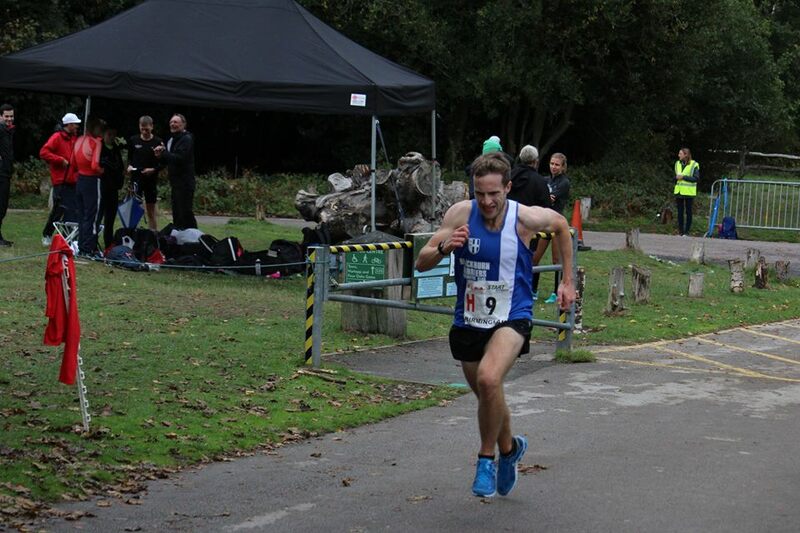 Equally pleased about the day was Chris Davies who told the Club “Well done today to everyone who ran. Some great times from the Men and Women. 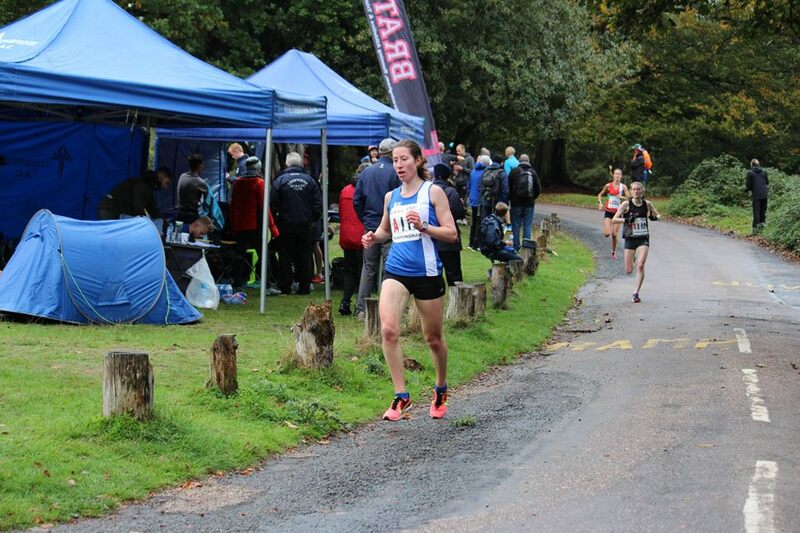 Two great overall positions from the Men and Women as well. Great day out and finished off nicely at Sandbach services with a little get together at the end. Well done to all”. The ‘B’ Team consiting of Joe Gebbie; Karl Billington; Marc Hartley; Thomas Marchant; Paul Bradshaw and Josh Holgate all ran really well and consistently to come home in 59th position. 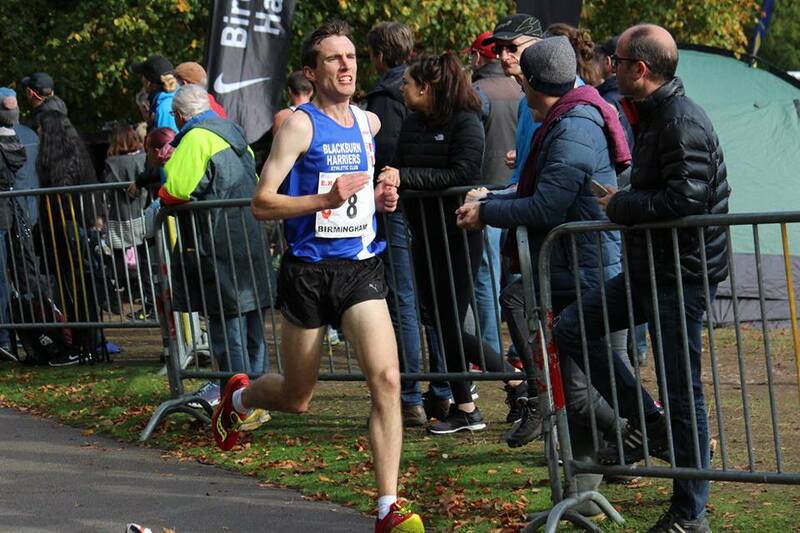 Joe Gebbie was at his first ever National Road Championships and he led off on leg (1) running 20.23 and told the Club after the Race that it was “A real eye-opening run in my first experience of the Nationals. 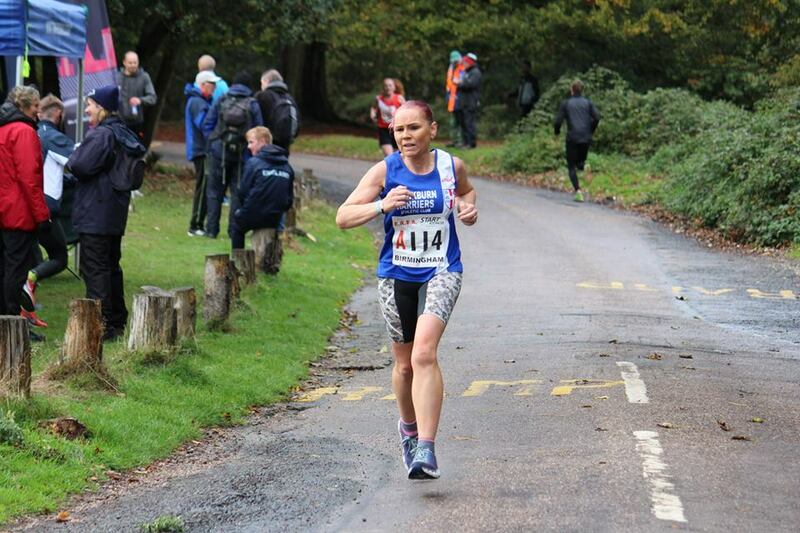 Went off on leg one telling myself not to go out too hard but soon realised I’d have to go pretty hard to cling on the back. 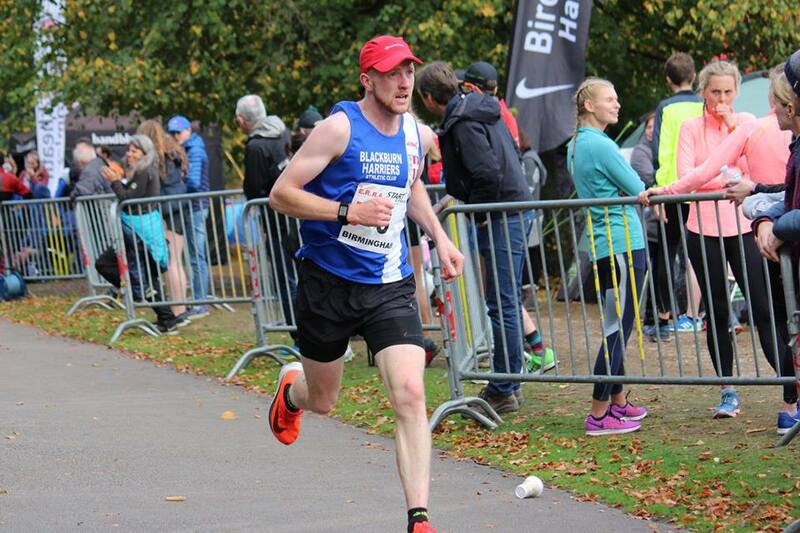 Not competed in a race of that pace before, but it was a great chance to see what I should be aiming for. 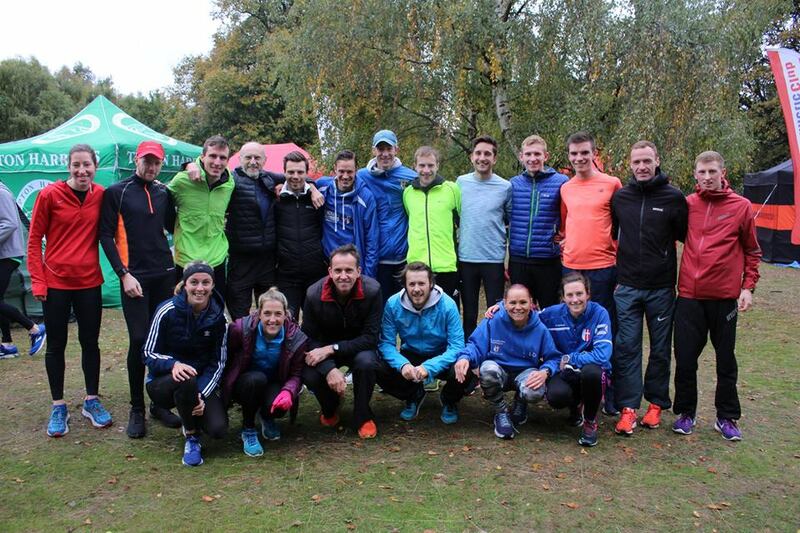 Great course, great team, great day”. 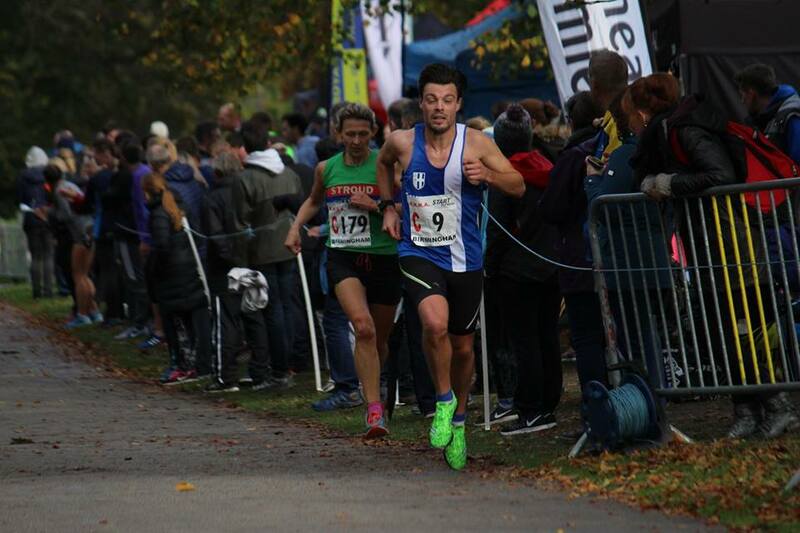 Karl Billington was on Leg (2) and ran the fastest time of the ‘B’ Team pulling back 10 places with his time of 19.23 to leave the team in 65th place and he commented afterwards that it was a “Great day out with the lads and lasses. Great team effort from all involved”.